Where and when does it make sense to spend money for gas when delivering a letter, rather than spending on a stamp? 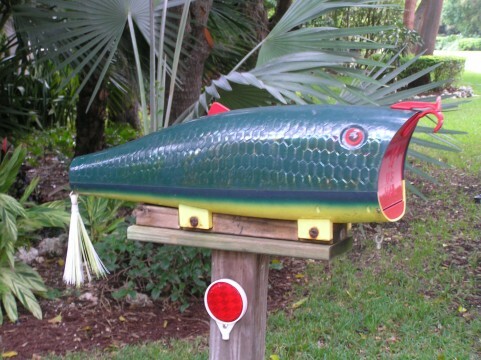 The answer is: When you’re letter is headed to the Ocean Reef Club in Key Largo, FL. For over 60 years, Ocean Reef Club has earned a stellar reputation for luxurious accommodations, a massive marina, two golf courses, and nine restaurants. What flies under the radar about this beautiful private club is what you’ll find fronting many of the residents’ private driveways. 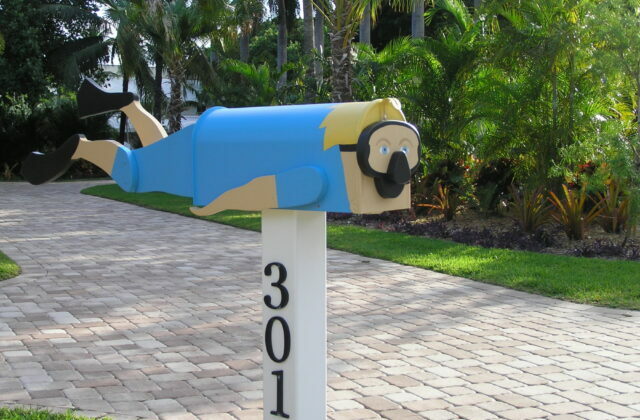 Lively personalities are displayed in the form of the most colorful mailboxes you’ll find anywhere. 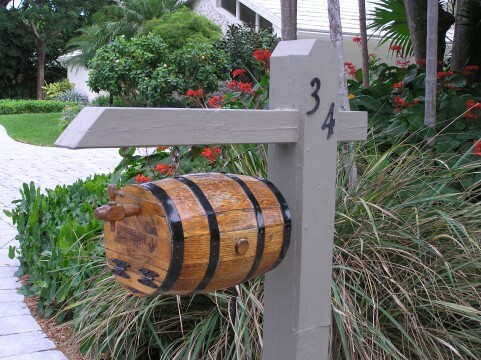 These mailboxes either speak volumes about a resident’s favorite hobby or at least exhibit a wink regarding their sense of humor. 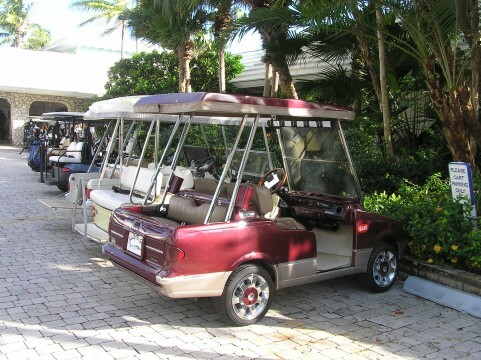 The best way to view this joyous exchange between neighbors, letter carriers, and dog walkers, is via the Ocean Reef Club’s preferred method of transportation. 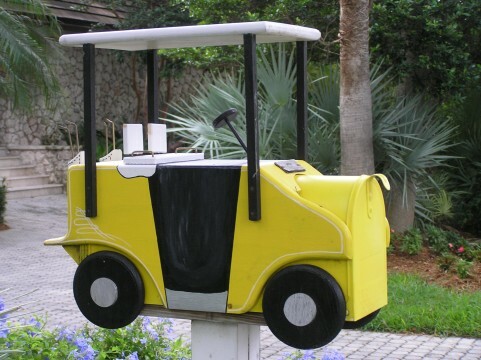 The Ocean Club golf cart fleet runs neck and neck with their mail boxes when it comes to personal expression. Tooling in this mild South Florida climate is all about relaxing, acknowledging neighbors, and a lively coat of paint. 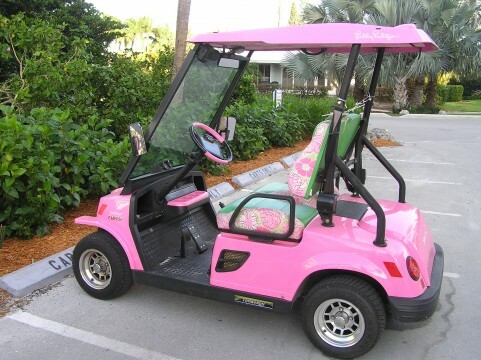 Why not hop in a golf cart when sending correspondence to the zip code home of the first link in the Florida Keys? You’ll be amazed to discover what your letter’s resting place looks like. Chances are, you’ll hope that snail mail makes a comeback.